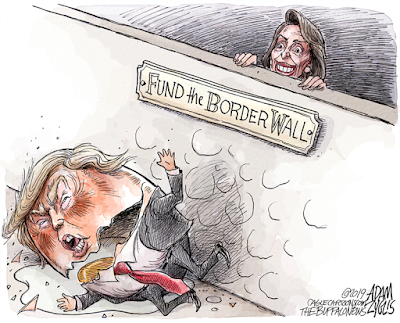 The biggest news out of Washington, D.C., was how House Speaker Nancy Pelosi got President Trump to end the government shutdown without yielding an inch on authorizing more than $5 billion for a wall on our southern border -- as illustrated by cartoonists Daryl Cagle, above, and Adam Zyglis of The Buffalo News, below. Here, Zyglis of The Buffalo News has another take on Trump's utter humiliation, portraying the president as Humpty Dumpty. Let's hope that like the nursery rhyme all the president's men can't put Trump back together again. 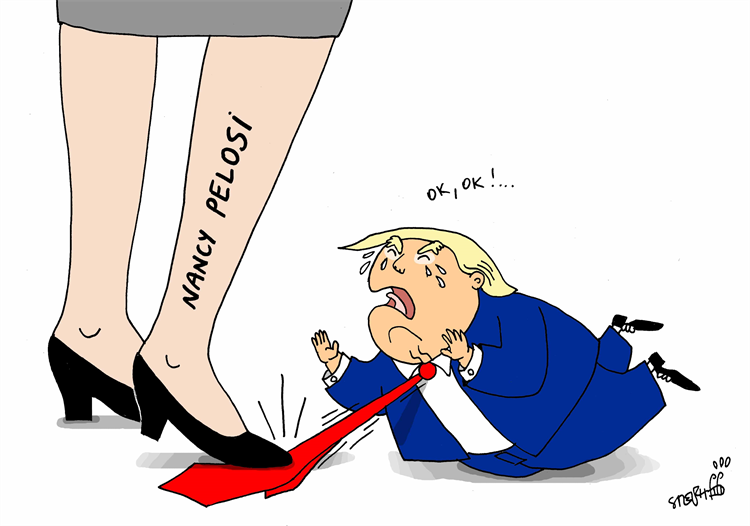 We're waiting for a reporter who asks Trump, "When are you going to stop lying to the American people?" 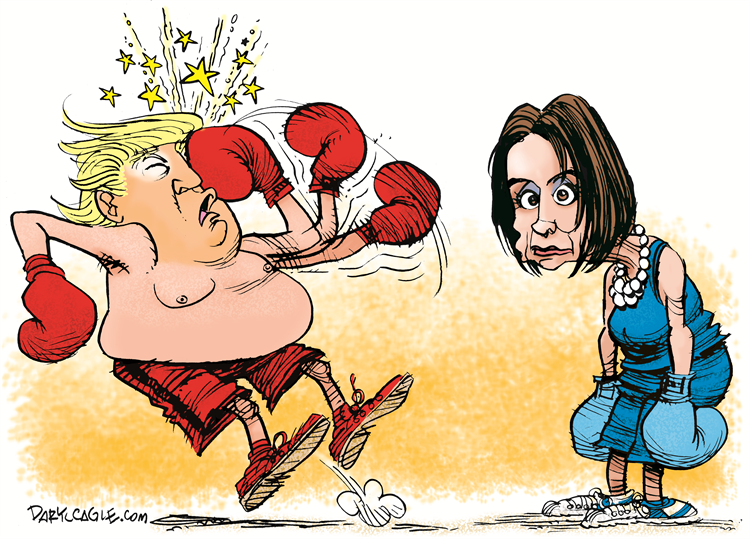 Cartoonist Ed Wexler has another riff on the Pelosi-Trump confrontation, with one GOP first responder declaring the president needs "some cojones STAT!!!" See more cartoons at The Cagle Post. 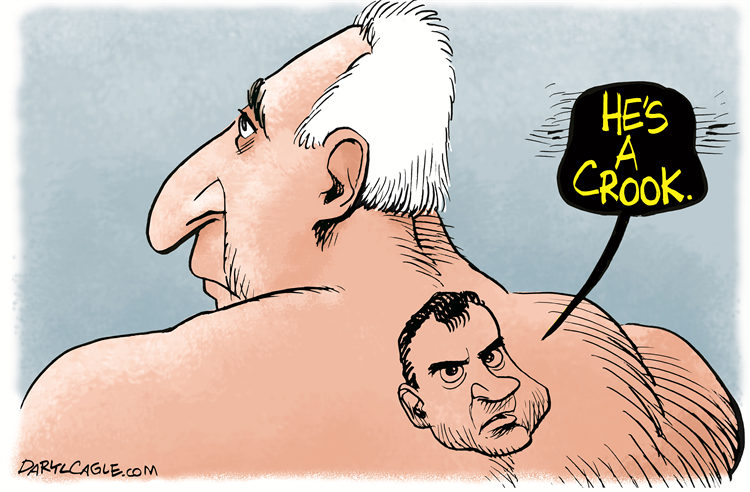 Cartoonist Daryl Cagle has fun with Richard Nixon's declaration, "I am not a crook." He has the Nixon tattoo on Roger Stone's back telling it like it is. 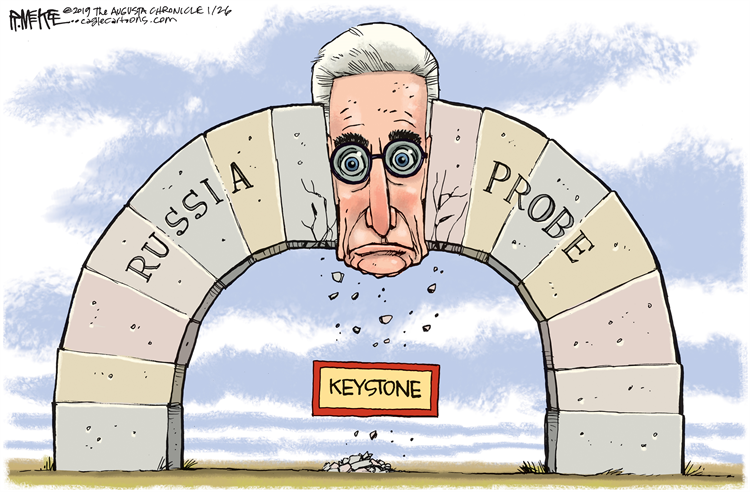 Rick McKee, staff cartoonist for the Augusta Chronicle, zeroes in on Stone, the longtime confidant of Trump and a political dirty trickster, calling him the keystone of the investigation into Russian meddling in the 2016 presidential election. 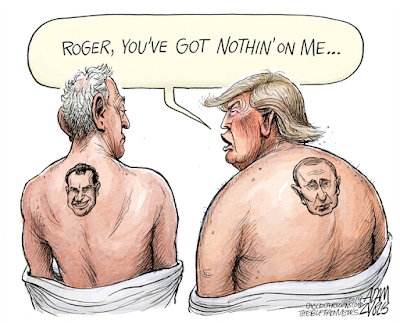 The Buffalo News' Zyglis hits hard at the Stone-Trump relationship, showing the overweight president with a tattoo of Russian dictator Vladimir Putin on his back. 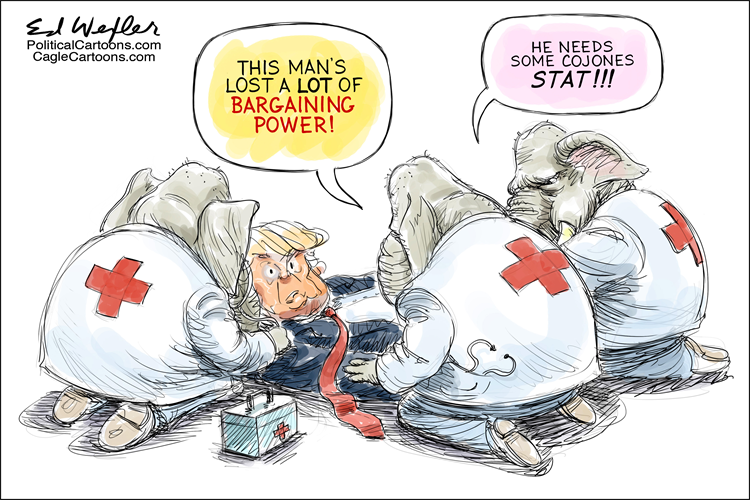 Trump kowtowed to Putin with his attempt to pull American troops out of Syria and by ending a big missile treaty.